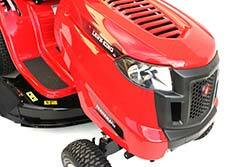 Lawn King ride on lawnmowers are one of our most popular selling ride on lawnmowers thanks to their robust build quality and great low price! 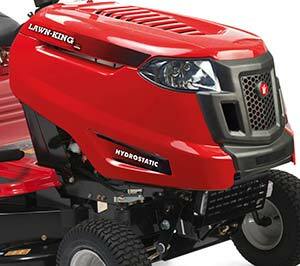 The Lawn King range of ride on mowers are made by MTD, one of the world's largest lawnmower manufacturers and the company responsible for brands such as Lawnflite and Cub Cadet. 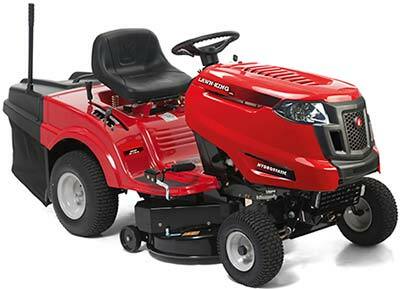 The Lawn King RE130H is a robust ride on lawnmower powered by a strong and reliable 344cc 13hp Briggs and Stratton engine. It comes eqiuipped with a 36 inch cutting deck with twin cutting blades which feed a direct collection chute into the grass bag for less clogging. The grass bag on this machine holds an impressive 240 litres and comes with an easy empty lever, allowing for effortless emptying from the drivers seat. The Lawn King RE130H is driven by an easy to use hydrostatic gearbox giving the operator complete control over the lawnmower, simply press the forward lever to go forward or the reverse lever for reverse, the more you press the faster you go - lift your foot to slow the mower. 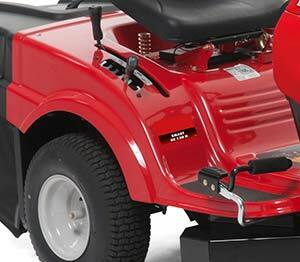 Like all Lawn King ride ons from MTD this machine has a thick steel chassis and pressed steel panels for protection and comes with a useful tow hitch, headlights and stylish step through design. 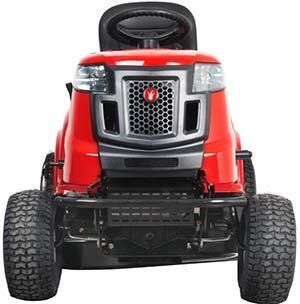 This ride on lawnmower can easily be delivered to any county in Ireland, call us today for a low quote straight to your door!